This family is relatively small, with only 5 North American genera, including 13 species. 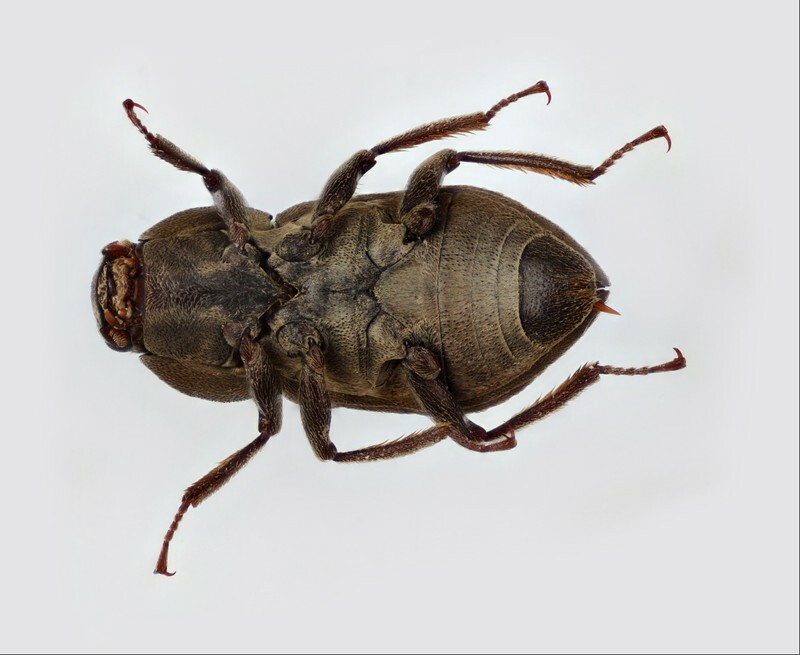 Unlike most water beetles, the larvae of this family are terrestrial burrowers and only the adults are aquatic, usually found in riffles, although some less-common species can be lentic as well. They are shredding herbivores and scrapers. The long claws of the adults make them good clingers and climbers on woody debris and other substrates. 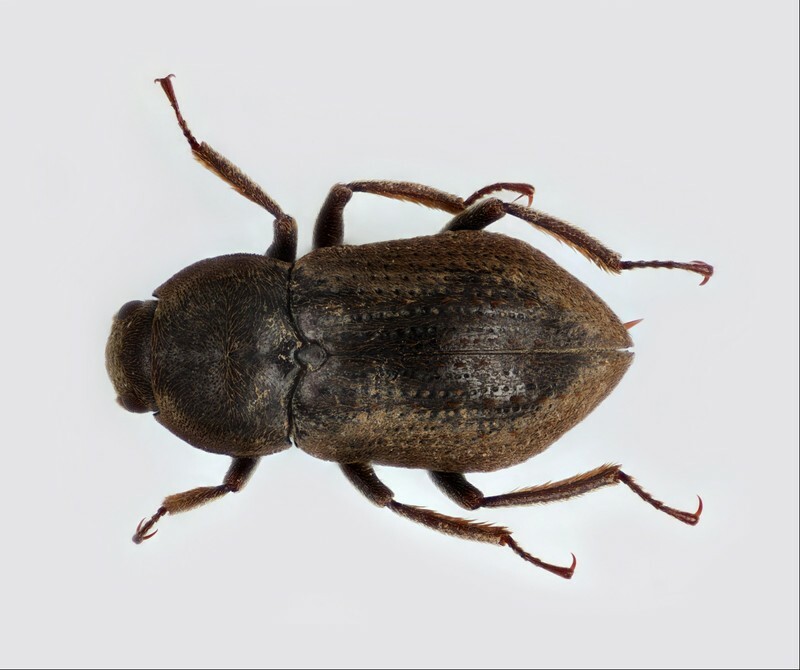 Similar to the Elmidae, these adult beetles use a plastron (thin layer of air held against the spiracles) to obtain oxygen from the water and usually don’t need to surface for air. These adult beetles can have a fairly long life-span, with the life cycle taking up to two years in some cases. Family: Head usually partially contracted into thorax. Each antenna 11-segmented, usually with enlarged basal segment and expanded 2nd segment covering remaining antennal segments folded beneath it. Prosternum expanded anteriorly as prominent lobe beneath head. Elytra concealing entire abdomen or exposing only part of one abdominal tergite. All tarsi 5-segmented. Forelegs with transverse coxae and visible trochantins, unlike Elmidae. Hind coxae not touching. Abdomen 5- or 6-segmented.